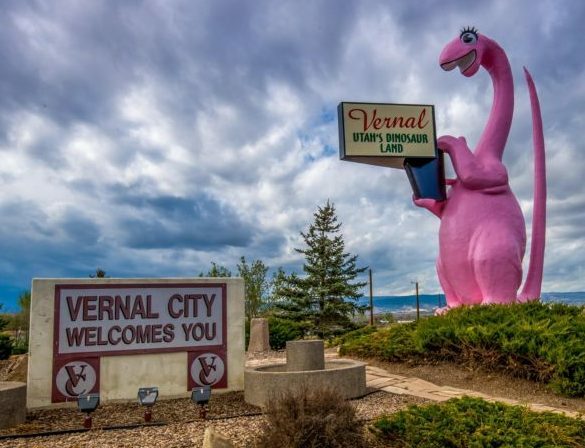 Vernal is located in the North Eastern corner of Utah, approximately 25 miles away from the Colorado state line and 37 miles from the Wyoming state line. 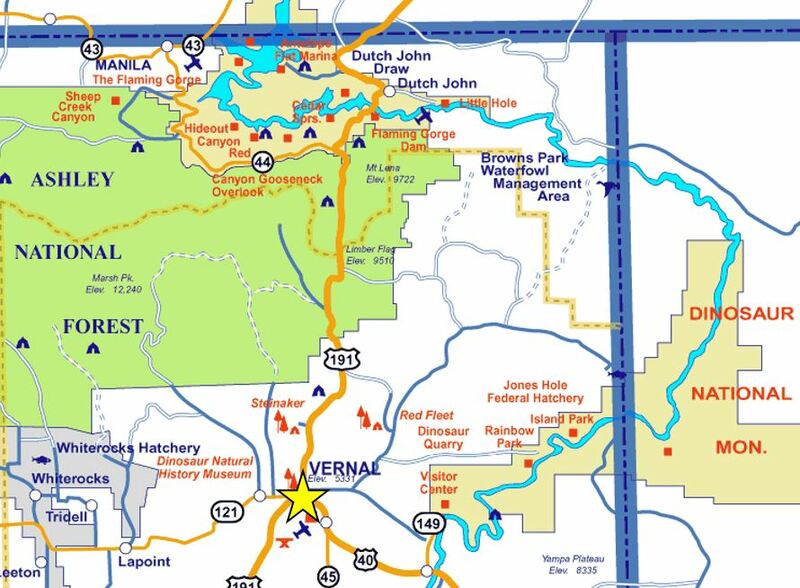 The Vernal Regional Airport hosts two departing and two incoming commercial flights from Denver International Airport by Skywest Airlines. 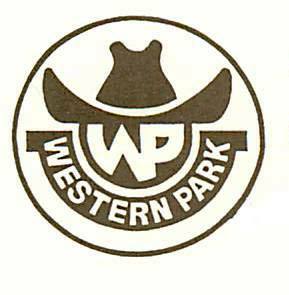 The airport terminal is conveniently located approximately 1 mile from the Western Park Arena, the home of the Dinosaur Roundup Rodeo.